One of the exciting things about living in the times we do, is to see all the renewal that is surging through the Church. Sure a lot of people give in to the sensation that our culture and Church is going to 'hell in a handbasket', but if you have eyes to see, there are marvelous things happening all about us. One, I feel, is the emergent tribe, and all the excitement that comes with it. If you have the time, take a look at one article "De-Pimp and Re-Monk the Church" by Kyle Potter. Of course, this isn't the first time something of this sort has happened, and today the Church remembers the early Abbots of Cluny, a Benedictine house in France. If you have time today, read this compilation of their work, especially, St. Odo, and how they brought revival to a Church sorely needing it. Another journey ends/changes. The Spiritual Exercises of St. Ignatius program that I began some months ago came to an end last night. The Spiritual Exercises was conducted as a 30-week process designed to enable working people to deepen their relationship and commitment to Jesus Christ. This Exercise was offered in Tulsa from October through April, under the sponsorship of the Benedictine Sisters of Red Plains Monastery. The love and commitment of this group is simply amazing. The depth of scriptural meditation and understanding is beyond anything I have experienced before. I know that I have been changed by the experience, and will continue in my path with tools that I didn't even know I could possess. During the ending ceremony, a word was chosen for each person, mine was JOY. I couldn't have chosen it better. Today,14 years ago, my wife left this world of tears for a place, where though I can no longer see her, she is bathed in the Uncreated Light of God. I don't suppose I will ever see anything good about her loss, so young, with such small children, but now I can accept the situation, and try to reach out to others who walk this journey. I don't know why it happened, but I have faith that in the Presence, she does. I believe that her life was not ended but changed, and that it goes on with God even now. There was a time, at first when I couldn't accept or deal with things very well. I was angry at God, jealous of those who still had relationships and so desperately lonely for her, I couldn't believe anything good was left in the world. I never knew grief had such a physical component. Today I thought I would share a video that speaks more than I ever could of the grief and pain that comes in loss. My readers know that I rarely post political issues on my blog, but there is a matter I simply have to address. I wanted to share with my readers some of my thoughts about those emails about Sen. Barack Obama being a Muslim. Please understand that this has no bearing whatsoever on the man's politics, that is an entirely separate matter. What I am talking about is the issue of his faith. As a Christian, I feel that I have to respond to these emails. 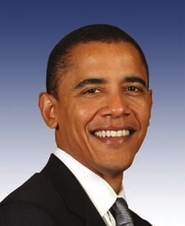 Sen. Obama has repeatedly and for many, many years publicly said he believes in Jesus Christ as his Lord and Savior. He chose Jesus after he became an adult. He was baptized in the Name of the Father, Son and Holy Spirit, as the Bible tells us to be. He says that Jesus is God, not just a prophet, as the Muslims believe. This is a matter of public record some years ago. I do not have a window into his soul, that is left to God alone. But, to do what Obama has done, is considered Blasphemy and Apostasy in the Islamic faith, and in almost any Islamic country, this would get him executed or at best shunned by the Muslim community. Sen Obama knows this, he knows that he endangered himself when he chose Jesus. Sen. Obama is the only major candidate that actually is in some danger for his profession of Jesus as his Savior. I know that my Christian friends and family are only passing those emails on, and may not know these details, but I feel I have to respond to them or I would be bearing false witness, and I just can't do that. Over the centuries various people in the Church have become outstanding for many and various reasons. Some build, some write beautiful music, others win barbarian hordes for Christ. Sometimes, some just think! 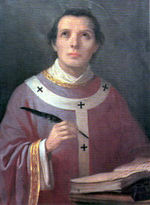 St. Anselm was one of those, he is considered by many to be the most important Christian theologian in the West between Augustine and Thomas Aquinas. That is pretty heady company. Two of Anselm's greatest works are the Proslogium (A Discourse) and the Cur Deus Homo? (Why did God become human?). In the Proslogium, Anslem explains that God is "that than which nothing greater can be thought", he then argues that what exists in reality is greater than that which is only in the mind; wherefore, since "God is that than which nothing greater can be thought", He exists in reality. In the Cur Deus Homo?, Anselm puts forward the "satisfaction theory" of the Atonement. Man's offense of rebellion against God is one that demands a payment or satisfaction. Fallen man is incapable of making adequate satisfaction, and so God took human nature upon Him, in order that a perfect man might make perfect satisfaction and so restore the human race. The success of his work may be gauged by the fact that many Christians today not only accept his way of explaining the Atonement, but are simply unaware that there is any other way to understand Atonement. Anselm was born about 1033 in Italy. We don't know much about his early life, but we do know that he left home at about twenty-three, and roamed around Burgundy and France for three years. There is a story that even as a boy, eh wanted to become a Monk, but his father refused to allow it. Anselm arrived in Normandy in 1059, and his interest was immediately focused on the Benedictine abbey at Bec. This Abbey had a widely known school which was under the direction of Stephen Lanfranc, the abbey's prior. In 1060 Anselm entered the Abbey as a novice. 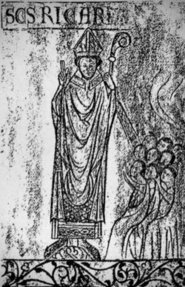 His intellectual and spiritual gifts brought him rapid advancement, and when Lanfranc was appointed abbot of Caen in 1063, Anselm was elected to succeed him as prior. The Abbey had possessions in England, which required Anselm to frequently travel there. His old Master, Stephen Lanfranc had become the Archbishop of Canterbury, and when he died, Anslem was the general choice to replace him in 1089. However, the king of England at that time, William III, preferred to keep the office vacant. This would allow him to keep the revenues of Canterbury for his own use. Then in 1093, the king fell gravely ill, and during his illness, he promised to let Anselm be enthroned as Archbishop. When the King recovered, he tried to renege on his agreements, and the two began to dispute the extent of the King's right to intervene in Church affairs. Eventually Anselm had to go into exile in Italy until the king died 1100. Anselm used his time of exile to work out a conflict on the Creed with some Greek bishops in southern Italy, and finish his work known as Cur Deus Homo? He returned to England, under the new king Henry I. But Henry was as determined as William had been on maintaining royal jurisdiction over the Church, and Anselm was again exiled from 1103 to 1107. In 1107 a compromise was reached, and Anselm returned home to Canterbury, where he lived his last few years in peace, dying 21 April 1109. *Many of the words and ideas above are from various sources around the web, not all my own. In the year of our Lord, (or there about) 953 Alphege (or Elphege, AElfheah) was born. England was suffering through one of the periods of major Viking raids. Alphege's mother was a widow, and he, her only son. Even so, he left the marginally comfortable world of his noble family in Weston near Bath (Somerset) and became a Monk. Then he became a hermit, but his reputation got him appointed Abbot of Bath, then Bishop of Westminster. In 994 King Ethelred the Unready placed him in charge of negotiations with the Viking (Danish) invaders Anlaf and Swein. The Anglo-Saxon King, Ethelred paid tribute to the Vikings, but Anlaf became a Christian through Alphege's witness, and swore never to invade England again. As far as we can tell, he never did. Alphege continued his ministry among various negotiations of the period seeking to win them by the power of the Gospel, rather than the Danegeld (tribute) paid by King Ethelred. 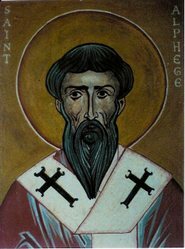 In 1005 Alphege was consecrated as Archbishop of Canterbury. Just six years later, in 1011 the Vikings conquered most of southern England. Up until this time the payment of the tribute (simply a bribe) had stopped them, but this time it did not. Late in the year Canterbury itself fell to the Vikings and they captured the Archbishop and other prominent persons for ransom. All of the others had their ransoms paid, and were released, but the Vikings demanded an extremely high price for Archbishop Alphege. When he discovered the price, he refused to pay it or allow the money to be taken from his poverty stricken people. The Vikings were enraged and at the end of a drunken feast, they repeated their ransom demands and Alphege refused again. Furious, they beat him horribly with ox-bones. Alphege stood before them and again refused the ransom, and began praying for their forgiveness and for his own poor scattered flock. Finally Alphege collapsed under the repeated blows and lay on the ground, in pain and agony, but not yet dead. In the crowd was a Viking named Thrim that Alphege had converted to Christ a few days before, and taking pity on Alphege, dealt a death blow with an ax to end the archbishop’s suffering. By his death Alphege became a national hero, as a shepherd defending his flock from ravenous wolves. We give thanks to God for those of His people who like rays of light piercing the darkness shine for His people. O loving God, Whose martyr bishop Alphege of Canterbury suffered violent death when he refused to permit a ransom to be extorted from his people: Grant that all pastors of Your flock may pattern themselves on the Good Shepherd, who laid down His life for the sheep; and Who with You and the Holy Spirit lives and reigns, one God, for ever and ever. Well, I am home and what an experience! It just so happened that at the spring conference of the Brotherhood, other Orders were meeting at Mt. Alvernia. I was able to meet various groups from around the Church and nation. Simply wonderful. The Franciscan Brothers that run Mt. Alvernia were amazingly kind and welcoming. Wow, did we get good food. Such a blessing to be at that place. First of all, meeting some of these guys that I have 'talked' to via email and phone for some years was an immensely moving experience in and of itself. The interviews took all day Saturday, and were pretty comprehensive. The thing that impressed me most was how much these men care for each other, that alone is a powerful witness. I felt the love, and concern, and was very moved by it. So, here is the news. I have been asked to return in July and enter the Postulancy and begin what I very well may be a journey that consists of the balance of my natural life (a phrase from the life profession article in the current newsletter). Yea!! I am so happy and looking forward to how this will help me serve God and others in Christ's name. I have recently heard from the Director of Vocations, and the process is moving forward. I have been invited to appear before the Gregorian Brotherhood Council at the Mt. Alvernia Friary in Wappinger Falls NY the weekend of April 11-13, 2008. This is the moment of truth, for years my heart has drawn me in this direction, but various things and responsibilities pulled me in other directions. Yet this desire has always remained. I will be interviewed by the Council, and if they so choose, I will be invited to return next summer to begin a more intentional part of my journey along with these Gregorian Friars. So, if accepted, in July, I would enter the Postulancy. I am so nervous, excited, joyful and scared. I know perfectly well how unprepared I am, and how I can not now know were this journey will take me. My life will change, and much like a marriage, I will give myself over to others, no longer will I be the supposed captain of my soul. I have often said control is an illusion, now I suppose I will put that to the test. So I am asking for prayer during this time, that God's will in my life be done. While I have a strong leading in this direction, I have a stronger desire to serve God more truly. I know perfectly well that they may say 'no', however I do trust the process, that God speaks in community this way. I will report back when I return from New York. Most of us have probably heard this song, one time or another but do you know the words come from a 13th Century Bishop? In 1197, Richard of Wyche was born in Droitwyche, England. He was orphaned at an early age, and had his family inheritance squandered by a feckless guardian. He eventually restored the family property, and turned it over to his younger brother to enter scholastic studies and the Church. In 1244 he was elected Bishop of Chichester, but the King at that time (named Henry) did not want to recognize his election. This was so King Henry could keep the funds normally allocated to the Church in Chichester for himself. Finding himself locked out of the bishop's residence, Richard found shelter with a simple village priest, and spent the next two years walking all around his diocese, preaching to his flock, that consisted of simple farmers, fishermen and villagers. It is said that Bp. Richard walked barefoot among the people, and he spent his time correcting many abuses and laxity that had crept into the Church. Finally, after a couple of years, King Henry was recognized Richard as Bishop, but the amazing thing is, Richard continued to live the simple life that he had been doing. He is sometimes depicted in art as a bishop with a chalice on its side at his feet because he once dropped the chalice during a Mass and nothing is said to have spilled from it. Thanks be to Thee, my Lord Jesus Christ, for all the benefits Thou hast given me, for all the pains and insults Thou hast borne for me. O most merciful Redeemer, Friend and Brother, may I know Thee more clearly, love Thee more dearly and follow thee more nearly, day by day. 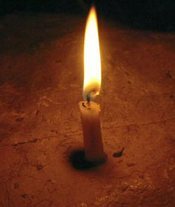 He died of a fever in 1253, having lived a life of simplicity, he was a well known and loved Bishop, and shepherd of the Church. He could have been well to do, he could have lived in considerable luxury for the time, but he set all that aside to be closer to Christ, day by day. We thank you, Lord God, for all the benefits you have given us in Your Son Jesus Christ, our most merciful Redeemer, Friend, and Brother, and for all the pains and insults He has borne for us; and we pray that, following the example of Your saintly bishop Richard of Chichester, we may see Christ more clearly, love Him more dearly, and follow Him more nearly; Who lives and reigns with You and the Holy Spirit, now and for ever.